The Accomplishing More With Less Workbook is the result of a decade of research and teaching on corporate and academic campuses, in person and virtually via web and video conferencing. The book embodies my key findings about how to overcome the challenges of the information overload and accomplish meaningful results. Thousands of participants in our Accomplishing More With Less Workshops have made significant breakthroughs using the Accomplishing More With Less Methodology, and now you can too. Order your copy of The Accomplishing More With Less Workbook today! We were skeptical at first. The thought of reading a book on the iPhone didn't quite appeal to us. We were pretty sure we wouldn't really do it but wanted to try it anyway, as part of our interest in the numerous mobile devices and technologies available and how well they contribute to our productivity... or NOT. So we tried it, and we are glad that we did! We were very quickly sold on the idea, as we don't have to carry multiple devices and still get the full benefits of Kindle books. Today's business professionals are bombarded by information, being persistently interrupted and sidetracked, constantly dealing with competing and changing priorities, handling an increasingly complex set of technologies, and having to work virtually and deal with a global and ever-changing economy. Pierre addresses how to deal with these challenges head-on and decrease their impact while increasing productivity. In today's digital age, information is coming our way from many fronts and in abundance. Keeping track of it and leveraging it becomes very challenging. Researchers tell us that 15 to 30% of our time is spent searching for information and that more than half of these searches are not fruitful. They estimate the total cost for the U.S. economy is 98 billion dollars per year, and the opportunity cost is twice as high. As individuals, the cost is even higher because it involves our ability to meet our business and personal goals and our satisfaction at work and in our personal lives. In this session, productivity expert Pierre Khawand, founder of People-OnTheGo, will walk us through some key principles that can help us, help our teams, and help our organizations overcome the challenges of information overload and work efficiently together to achieve the desired results. When it comes to the information overload, there is light at the end of the tunnel! So join us to get not only a glimpse of this light but to learn some thought-provoking principles and techniques that will get you there. As a professional in the digital age and someone who works on a variety of initiatives, projects, events and on-going tasks, you are likely to get your fair share of the billions of email messages sent daily, and you are likely to want to stay up-to-date on what is going on in the blogosphere and the social media sphere—from Twitter to Facebook, LinkedIn and whatever is next (all together forming a whole “new” inbox). This overload brings some significant challenges to our already overcrowded inboxes: Tracking unfinished email messages, organizing messages, finding information when you need it, keeping your social media feeds under control. In this session, you will experience the big "ah-ha" moments that come with effective email inbox organization and social media best practices. Join Pierre Khawand, Founder and CEO of People-OnTheGo, as he helps you to make this transformation today and realize a zero inbox! A blog is a user-generated website where entries are displayed in a reverse chronological order (most recent on top). Blogs often provide commentary or news on a particular subject and can be public or can be protected and therefore only accessible within an organization or a team. Blogs have revolutionized the process of publishing information on the web, as well as the sharing of information within companies. A wiki, on the other hand, is a collection of web pages that anyone can edit. Wikis are used as a knowledge base similar to Wikipedia and as a collaboration tool reducing reliance on group email. With wikis you can reduce email volume, cut down meeting times, and accelerate project cycles. Microsoft SharePoint is a sophisticated Intranet that has embedded document management, calendaring, and workflow capabilities. Finally, virtual meeting tools such as web and video conferencing and Virtual Worlds are becoming a must for virtual workers operating in a global work environment. In this session, we explain the benefits of these tools, both strategically and tactically, and demonstrate their capabilities, therefore providing the audience with the conceptual and practical knowledge they need to explore the applications of these tools in their work environments. --The future is here! And you can be part of it now! Virtual Worlds are no longer just virtual, they are here now, and innovative companies such as IBM, Intel, Ernst & Young, Chevron, and Walt Disney are taking advantage of these platforms for a broad range of business applications, in which training, collaboration, and innovation are at the top of the list. What do you need to know in order to join this movement? What are the costs involved and what is the ROI? Can you afford it and can you afford not to? With an increasingly virtual and global workforce and the pressure to reduce costs and be “green," as well as the demands for measurable returns, can you afford not to look more closely into Virtual Worlds and explore how they can become an important part of your toolset as you plan your future employee programs, training, collaboration, and innovation initiatives? Pierre Khawand, Founder & CEO of People-OnTheGo, has been using Virtual Worlds for training and collaboration as well as helping virtual teams experience key “water cooler moments”, “informal learning”, and “team building” activities at his Accomplishing More island in Second Life. In this presentation, he will share a myriad of case studies on what companies are doing in these platforms, the costs and returns associated with these platforms, and many live demonstrations. Join us in this session and experience the future now! If you have questions, or if you'd like to bring Pierre Khawand's presentations to your next event, please e-mail training@people-onthego.com or call 415.503.1649. If you'd like to learn more about bringing our training solutions to your organization, please visit our Corporate Offerings page. In his engaging and motivating presentations, Pierre Khawand brings breakthrough insights and revolutionary techniques that tackle the core issues that today's workforce is wrestling with. Pierre's compelling and approachable style make his presentations the perfect choice for your conference keynote or breakout sessions, or your next company or team event. 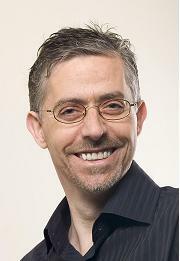 Pierre Khawand has more than fifteen years of experience in the software industry. He has led several technology ventures and completed successful mergers and acquisitions. Pierre founded People-OnTheGo in 2001 to enable business professionals to communicate and collaborate more effectively using leading edge technologies. His best-selling "Accomplishing More In Less Time, Less Effort, and Less Stress" workshop enables managers and executives to better cope with information overload and competing priorities. Pierre is also the author of several books and the popular Less-Is-More blog. Pierre holds a Master's degree in Engineering from the University of Michigan and has completed several Executive Education programs at the Stanford Graduate School of Management.